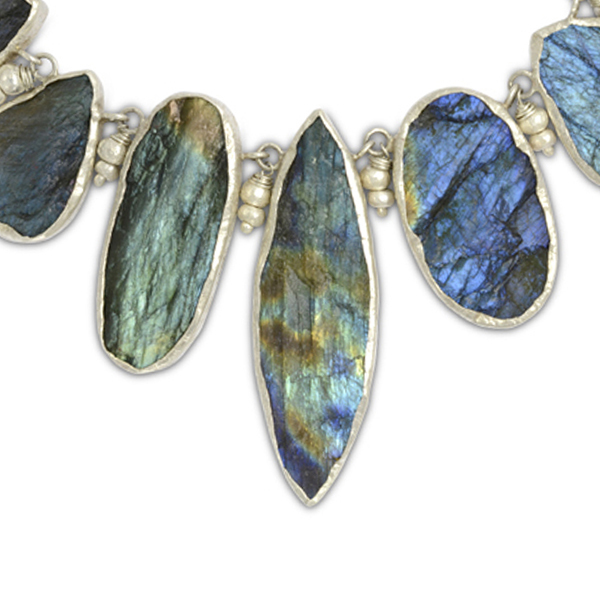 A one off Rough Cut Labradorite Necklace displaying a fabulous range of colour. 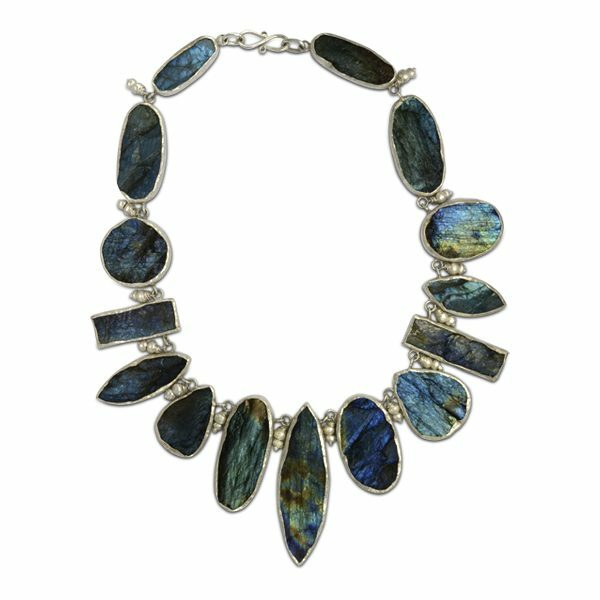 Each piece is set in hammered sterling silver. Length 16-18″. The Front piece measures 60mm.